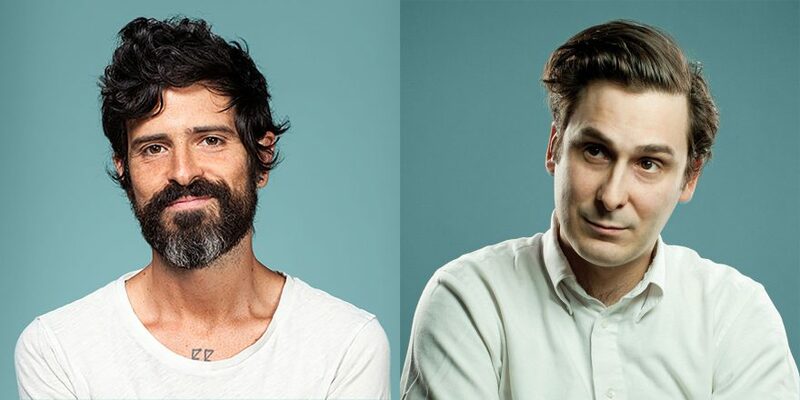 After recently covering each other's music, Devendra Banhart and Joan Of Arc's Tim Kinsella now discuss Kinsella's novels, Banhart's poems that originated while ashram-hopping in India, spirituality, and their friendship in the most recent episode of the Talkhouse Podcast. With a constantly revolving cast of musicians orbiting around Kinsella, Joan Of Arc’s art-rock whims remain delightfully confounding, while Banhart uses his weird and wonderful artistry to find that unique sweet spot between absurdity and sentiment. You can listen the podcast below. Devendra Banhart and Tim Kinsella both play at Le Guess Who? 2018. Banhart's curated program features Kinsella's band Joan of Arc, as well as Vashti Bunyan, Ebo Taylor, Beverly Glenn-Copeland, Rodrigo Amarante, Shannon Lay, Jessica Pratt, Shintaro Sakamoto, SASAMI, and many more.